Over 2000 years ago, a Greek historian, documented that wood barrels were used for wine in ancient Mesopotamia. I have mentioned before, in my article about “Orange Wines” that approximately 6000 years ago, wine was aged and stored in clay pots called Qvevri. Then eventually besides the clay, people started to use wood. Wood was lighter than clay when traveling. As the Romans were expanding their empire, they brought wine with them. At the time, wine was safer to drink than water. As the Romans met the Gauls in the 2nd century BCE, they were already using wood barrels for beer. Many types of woods were used, but oak was very well-liked. Oak was much softer than other woods, it only needed a light toast which helped to produce faster and was waterproof. Within the next two hundred years, people used less clay and people chose to use oak barrels for aging and storage of wine. As time went on, people realized that oak softens and adds flavor to the wine. With the little toasting, cinnamon, molasses, clove, vanilla and many other spices occurred to which added aromas that enhanced the taste of the wine. Plus they realized the longer the wine was in the barrels, more character created a complex a delicious wine. 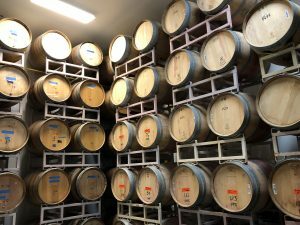 We age our red wine and our Amber Chardonnay (“Orange Wine”) in French Oak barrels that are a medium toast for 18-24 months. This week is our monthly hike & brunch and I always feature a red and white wine. 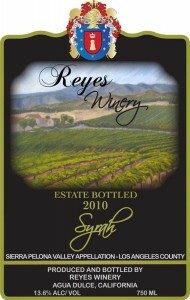 This month I am pairing 2010 Reyes Syrah with my chicken sausage hash brown casserole. It has won silver medals in the 2012 Los Angeles International Wine Competition and 2013 San Diego County Fair Commercial Wine Competition. Plus bronze medals in the 2012 San Francisco International Wine Competition, 2013 O.C. 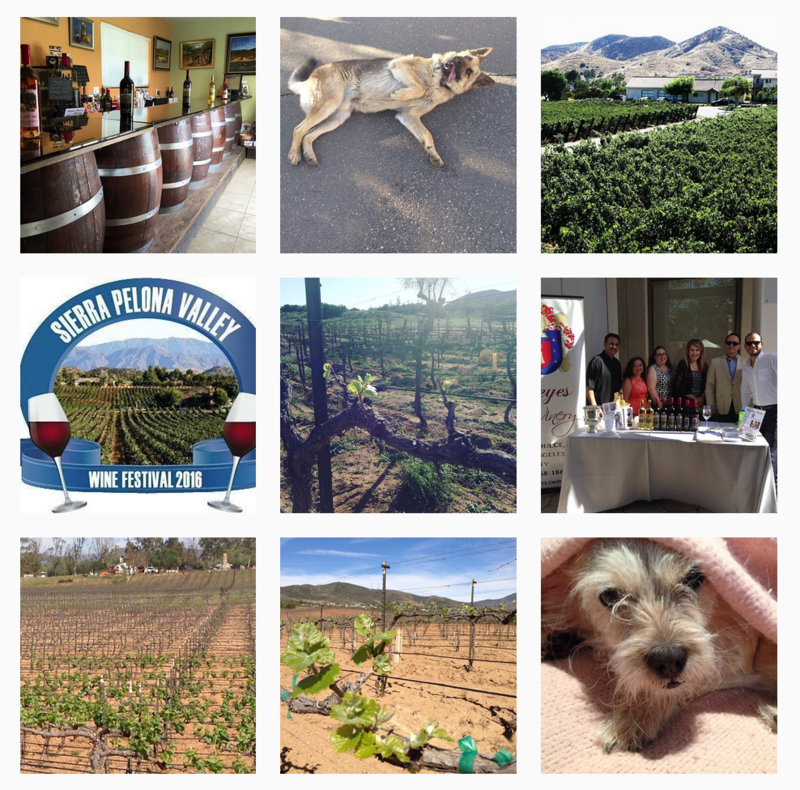 Fair Commercial Wine Competition and the 2013 Sunset International Wine Competition. It has aromas of fresh raspberries, plums, dark chocolate and a taste of smoky berries. It pairs well with roast turkey with rosemary and sage dressing, manchego cheese, or chocolate cake with a raspberry filling.